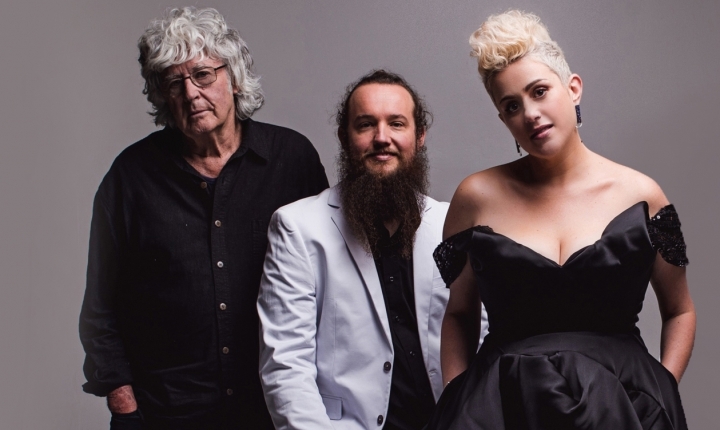 Multi-platinum-selling and five-time ARIA Award-winning singer and songwriter Katie Noonan returns to Melbourne Recital Centre with her jazz trio Elixir and The Impossible Orchestra for a magical evening of art, music and poetry. Katie, Elixir and the Orchestra are joined by Australian Living Treasure Michael Leunig whose live drawings accompany the sublime music, including settings of his poetry. Folk jazz trio Elixir is approaching 20 years in the business. Fronted by Noonan with jazz saxophonist Zac Hurren, the trio has enjoyed enormous success along the way including an ARIA Award for Best Jazz Album in 2011, 13 weeks at #1 on the ARIA Jazz Chart and numerous high-profile festival appearances. The trio continues to celebrate great Australian poetry and explore the relationship between text and sound. Katie Noonan’s technical mastery and pure voice makes her one of Australia’s most versatile and beloved vocalists. She first received widespread praise as the angel-voiced songstress of indie-pop band George and has since taken audiences on sublime excursions through jazz, pop and classical music. Her recent releases include collaborating with guitarist Karin Schaupp for their 2017 ARIA-winning album, Songs of the Latin Skies, and the world-famous Brodsky Quartet for the acclaimed 2016 album, With Love & Fury. She has also worked with the country’s top orchestra’s including her fruitful collaborations with Richard Tognetti and the Australian Chamber Orchestra and recently with the Sydney Symphony Orchestra for the premiere performance of Gratitude & Grief. Michael Leunig is one of this country’s most celebrated artist-poets. In 1999 he was declared an Australian Living Treasure by the National Trust and awarded honorary degrees from La Trobe and Griffith universities and the Australian Catholic University for his unique contribution to Australian culture.